Wondering where or how to cheer on your favorite NYC Marathon Runner(s)? The NYC Marathon is 6 days away! I cannot wait. I’m planning out my day so that I can cheer Joseph on. Joseph will be running with his best friend Julio (or as Norrin calls him “Uncle Julio”). 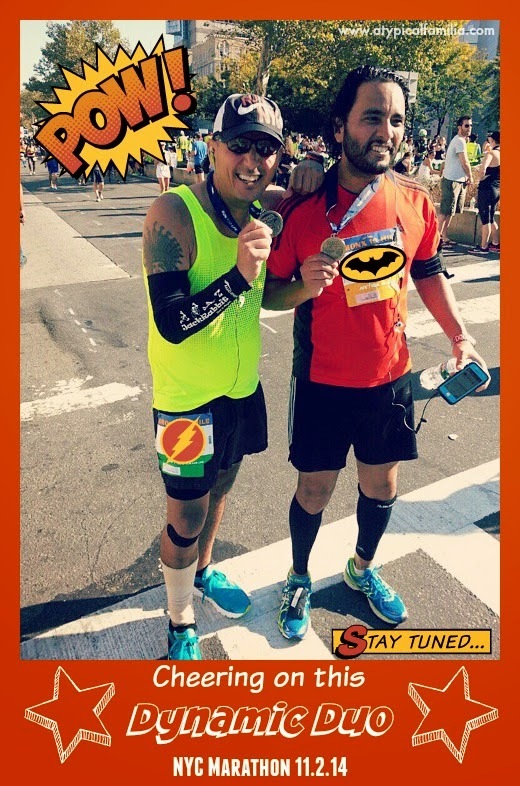 It’s Julio’s 9th marathon and Joseph’s first. This is a big moment for them both and one worth celebrating. The goal is to be able to cheer them on at 2 different locations before meeting Joseph close to the finish line. I’ve never been to the marathon before, so this will be interesting especially since I’ll be with Norrin. I’ll probably be rolling solo, so navigating the New York City crowds may be tricky but I’m going to try my best. I’ve been supporting Joseph along this journey and I am so proud. I am amazed by his persistence to go out and run even on days when he comes home from work dog tired. I will probably cry at some point. So how am I preparing to cheer my Marathan Man on…I read this article on best places to watch the race. Then I printed out the course map. I just downloaded TCS NYC Marathon mobile app so I can track Joseph’s progress throughout the day. It’s cool because I can track up to 10 runners for free! And I will also use the FOLR app to monitor Joseph’s location. I created this badge to share via social media because I want everyone to know that I am supporting a marathon runner. Finally I want to make sure Joseph is fueled up and ready to run. This means: PASTA PASTA PASTA! I put together this Pasta Pinspiration board of tasty, easy to make pre marathon meals. Follow Lisa Quinones-Fontanez’s board Pasta, Pasta, Pasta on Pinterest. About Health offers suggestions on what to eat before a marathon – here. 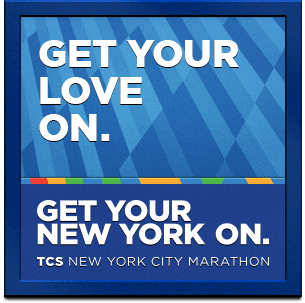 Filed Under: Fitness, Health, Marathon Training Tagged With: Atypical Dad, Atypical Familia, Atypical Mami, Food We Love, NY Road Runners, NYC, NYC Marathon, PIN THIS!